So we know that we'll mine resources of various kinds... and build things... and some of those things will be ships which need fuel. 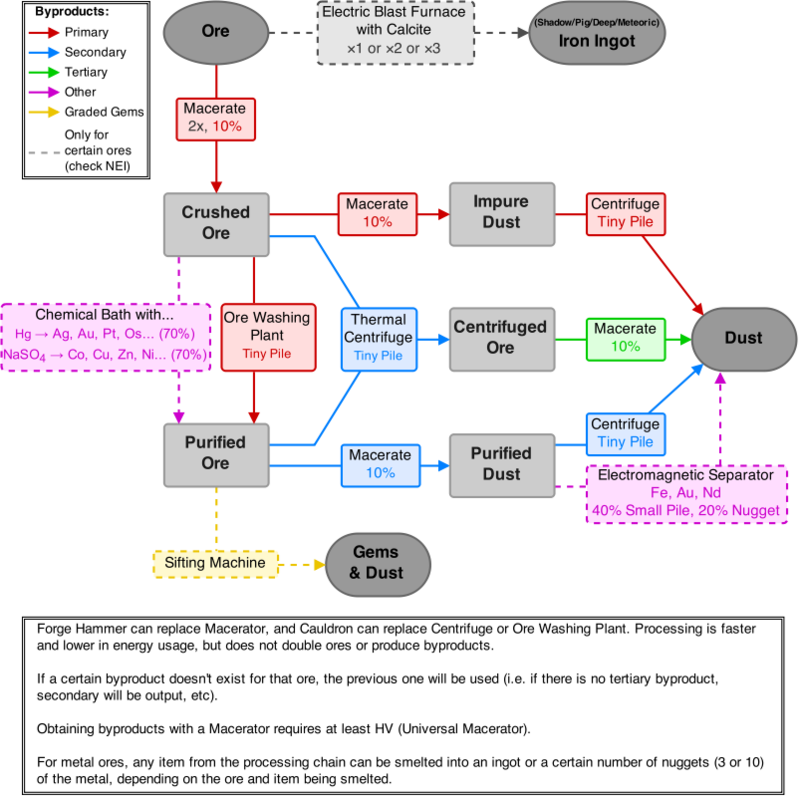 Will the materials be ores that need to be refined at some sort of refinery to be made into the finished fine materials used for building... or into the fuel or fuels used by various ships engines? I think it'd add another layer to the economy if miners sold to refineries ... and refineries had to be large constructs... with storage for their product which could then be sold to builders and explorers and shippers. Also has any thought been given to power generation to power lights... or the hypothetical refinery? Yes, there will definitely be several tools and elements that are used to turn resources into materials, and materials into elements, and so on. You can find out more on the official wiki page about industrial units. I would imagine that when combined with the skills system, which will increase the efficiency of many elements based on your skills, that there will be certain people that are far more efficient at using refineries than others, so a system like you describe is certainly possible. I kinda want a refinery to be something you build... along the lines of a space ship. So what I'm saying is that there shouldn't be a single element that is a refinery... there should be many elements with their own functions that when assembled together function as a refinery. Much like you assemble engines... and fuel tanks... and thrusters... and a cockpit to make a space ship. The machines used for industry should also be assembled that way. "I believe that, if managed well, the Fourth Industrial Revolution can bring a new cultural renaissance, which will make us feel part of something much larger than ourselves: a true global civilization. I believe the changes that will sweep through society can provide a more inclusive, sustainable and harmonious society. But it will not come easily." Alternatively, you could build a large and complex structure using voxels, and then just plug a refinery element into it, along with a storage element, etc. and the whole structure becomes the "refinery". Ships are just a few elements wrapped in a large custom voxel structure that you shape any way you like. I... don't think that's actually any different from what I said... so... yes I agree. I built a ship in DU at PAX 2 days ago. What I was trying to say is that a refinery "construct" may not need nearly as many elements to make it work as a ship would, but there's nothing stopping you from making the refinery look like a large complex building. There's plenty stopping me. Resources aren't infinite. Why waste valuable resources building useless empty superstructure? On ships... there's some protective armor value to voxels... also as surfaces to attach elements to. People will do what is most efficient. And I think that's bad. I want there to be a need and value in a large construct that may take several people's resources ... IE an org to construct. So that people will specialize. Miners will mine and sell to an org with a refinery... and the refinery processes it for sale on the markets. If 1 person can... go mine up some ore... process it in their desktop refinery... and then go build something isolated on a claim or fly off all alone... That's bad. There were no social interactions with other players during any of it. MMOs are social games. The instant they become too accommodating of solo play... is the instant they die. People need to ... need other players. So I'm trying to think of ways of making the act of refining something difficult for 1 player to do alone. Simply making the refining device expensive is one way. Making it also complex is another. If some sort of skill based mini game could be incorporated... perhaps even a few different ones so you might need several "workers" to crew your refinery like the large ships will need a crew... that could be even better. The fewer producers there are, the less the competition and therefore the higher the prices of produced goods. In EVE, the prices of basic items are kept super low because it's easy for anyone to become a producer. The competition between 1000's of producers completely removes the effect of inflation in EVE. Prices stay relatively flat, even though the money supply is increasing rapidly. Common items should be cheap and widely available. Don't try to force people to play a certain way. It's a sandbox, all playstyles should be viable, including solo play. Rather offer incentives for grouping up, instead of penalties for not doing so. I vehemently disagree when it comes to solo play. I won't quite go to the point of saying it shouldn't be possible... but it should be difficult... inefficient... expensive... and generally much harder to play solo than with the help of others in 1 or more organizations. MMOs are not single player games. And this MMO is a civilization building simulation. If people can scatter and be self sufficient they will. There must be reasons ... compelling game play reasons for players to need to interact with each other or the game will fail. MMORPG's are about interaction with other players. Joining an org is just one form of interaction. There's room for everyone in a sandbox. Solo players don't stop orgs from doing anything. Independent players increase the player base, which makes the economy stronger, because there are a whole load of additional customers in the market. None of them will be self-sufficient, because it takes a lot of training and time to make everything yourself. And even if you do train all the skills, an organised mass-manufacturer will still make everything faster and cheaper than you will on your own. so... you agree with me? That it's bad for a single player to be able to mine, process, and build all by themselves on their own claim out in the wilderness without ever fighting or talking or buying anything or selling anything. Because that's all I'm saying. I in no way am saying that joining an org is the only way to play. If you got that idea... then I'm sorry I wasn't clear enough. I do think running a refinery should be an org level endeavor. Perhaps the miscommunication is in our different definitions of solo play. I say that if you are buying and selling... fighting... talking with or commissioning another player to make you something... then you're not a solo player. But the Game needs to have reasons for you to do those things. If it does not... then people will be solo players... building... mining... flying around alone... and get board and leave. I'd really like material processing to be somewhat realistic. e.g. You can only manually extract the easy elements, like iron ore, silicon dioxide, oxygen, nitrogen, carbon, etc etc. It doesn't have to be super complex, but the most common materials could be extracted and thus refined in predefined stations that combine raw elements into useful intermediate materials, like Steel (Carbon+iron), refined copper, refined aluminium, and even fractional distillation for petrochemicals, like crude oil => fractional distillation =>Natural gas all way down to heavy oil =>plastics, automobile fuel, lubricants, plastics etc etc. For things like power generation, you'd actually have to construct a working industry with your player group. E.g. Strategic amounts of resources need to be applied with economies of scale. You thus need machinery to extract raw materials, large furnaces and refineries to refine and concentrate said raw materials and finally manufacturing stations or robotic plants that build pre-defined constructs based on blueprint. Eventually, you then extract Uranium Oxide (yellow cake) with Sulfuric acid deep pipe extraction, and thus intermediate centrifugals that condense the U235 from the U238, allowing you to make fuel rods and then finally core of a nuclear power station. In Minecraft, you mine 1 ore, then put it in a furnace to have 1 ingot. It's simple, everyone understand it, but it's not very challenging. There is a mod called Gregtech, which include many more machineries, and add many more ways to make your refined ingots. You still can put your ore in a furnace to have 1 ingot, but you also can use it in a more complex way to have 1.5 ingots. I think a similar system in DU would be awesome. No there is not ! And you can do it in your inventory for small amounts. This system is almost as simple as Minecraft. It is only an example and I don't want NQ to copy this. But, this is a complex system that would allow people to specialize and create a special building like a refinery. And I think Fitorion was talking about something like that. I think there should be a mix of both. I'm fine with basic, small-scale inefficient refineries being single elements. These would be the first step, and what a player could use in a small personal base for small personal projects. When it comes to the larger scale stuff, this is where I think the multi-element structures should come into play. Way more efficient and higher capacity, but needing a lot of space, and several elements hooked up to each other to form a process. It could be that using certain elements in that production line could specialize it for certain tasks making it extremely effective at refining one type of thing. This would lead to top-end refineries being even bigger and more complicated, with several specialized production chains for different particular materials. Indeed. Complexity breeds specialization. Specialization is vital for an economy to develop.